The array of secret coves and hidden harbors scattered across the patchwork shades of blue are sure to leave you dizzy. Island hopping in the Abacos takes you on a whirlwind tour. From the thriving towns of Great and Little Abaco to the collection of loyalist cays and the pristine stretches of cotton candy sand that makes up Treasure Cay – you will never get bored. Don’t be shy – your yacht charter to the Abacos Islands will never tire of drifting past silver and turquoise. From the famed Treasure Cay Beach to the sweet shores of Tahiti Beach, the fun frolics of Ocean Beach and the sheltered calm of Gilliam Bay, choices for swimming and snorkeling are endless. When you tire of all that sand and sea, anchor your luxury yacht somewhere and head into the depths of the red mango forests. In these aquatic playgrounds – coral blooms, birds coo, and fish thrive. Take the kayak from your boat and explore with paddle in hand. 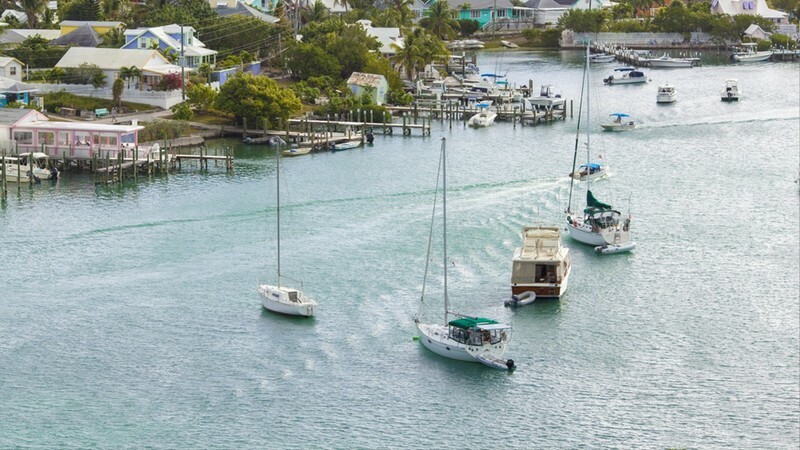 Clapboard houses, pastel shades, darling dive bars, and blinking lighthouses – the northern shores of the Bahamas are brimming with storybook charm. The Abacos Islands is also a history lover’s dream – with 18th century settlements and fascinating stories of those who landed here after the American Revolution. 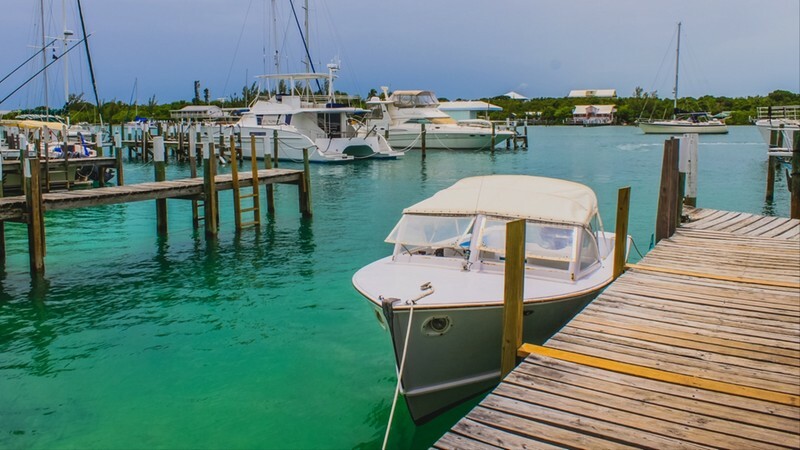 Its called the ‘Island That Time Forgot’ and for luxury yacht charters wanting to veer off the beaten track, it’s a must when exploring the Abacos Islands. The simple 6-mile island boasts notes of New England set against an undeniably Caribbean backdrop. 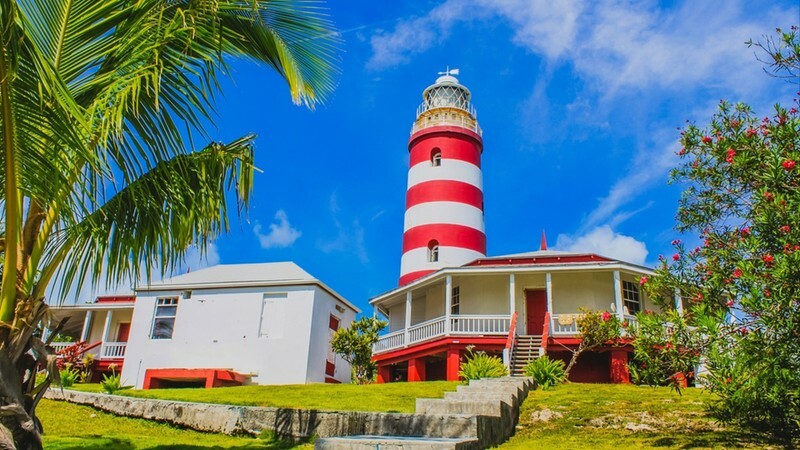 Snack on conch cakes, admire the bright pink lighthouse, and hit the thriving little favorite of Hopetown. The largest and the most populated in the Abacos Island chain, Great Guana Cay is one of those loyalist settlements that sprung up in the 18th century. Great Guana still manages to hold onto its peaceful charm and yacht charters lucky enough to stop for a day or two will enjoy hours of snorkeling the shallow coral seas, sipping rum in the local filled bars, and visiting the classy resorts for sublime spa treatments. Only three miles, the island of Green Turtle Cay still manages to pack quite a punch. Yacht charters should drop anchor and take the tender to shore to visit the historical town of New Plymouth. Don’t leave the lovely little island without swinging by the Blue Bee Bar, made notorious for its invention of the heady killer cocktail – the Goombay Smash. The boat building capital of the Bahamas is well worth a look for luxury yacht charters looking to celebrate all things nautical. Only a handful of people live on the thin island, but they are fiercely proud of their fabulous heritage. With only one restaurant and a snippet of shops, witnessing the fiberglass boat building remains the main draw of this secluded little spot. Being part of the balmy blues that make the Caribbean such an alluring destination, the Abacos Islands should certainly form part of your winter yacht charter itinerary. During the months of December through until May, temperatures remain warm and charming – although you may need a sweater for evenings on deck. The summer months of June and July are marvelously hot, and everyone is out to celebrate as the regatta festivals start to set sail. Avoid September and October, as this is when hurricane season closes in on the Caribbean.